To understand the direction of the stock market, it’s important to first look at the leaders. 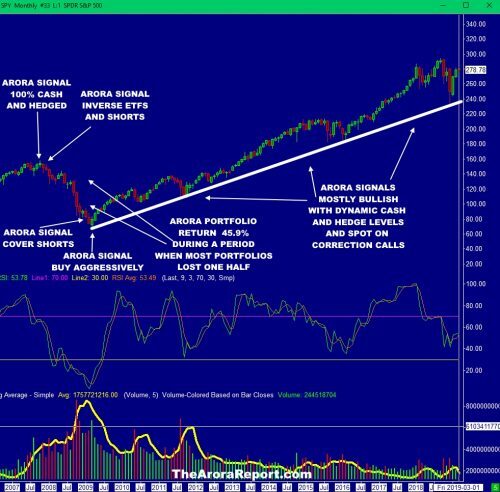 The leaders in this market have been popular technology stocks, which have marched upwards primarily because the hot money has been flowing into them. The hot money mostly cares about the momentum. Money flows provide an edge to investors who want to beat the market and lower their risks. Let’s explore by looking at momo (momentum) crowd money flows with the help of a chart. Please click here for the annotated chart of money flows in 11 popular technology stocks. As a group, these stocks have outperformed the Dow Jones Industrial Average DJIA, S&P 500 SPX and Nasdaq 100 NDX and popular index ETFs such as SPY, QQQ and IWM. Please observe the following from the chart. • Among FAANG stocks, momo crowd money flows are positive in Facebook FB, Amazon AMZN and Netflix NFLX. They are neutral in Apple AAP and Google GOOG, GOOGL. • Among semiconductor stocks, momo crowd money flows are positive in AMD AMD and Nvidia NVDA. They are negative in Intel INTC. • Momo crowd money flows are positive in Tesla TSLA, as short-sellers are getting squeezed. • Momo crowd money flows are positive in Alibaba BABA, which is the Amazon of China in spite of a bear market in Chinese stocks by some measures. 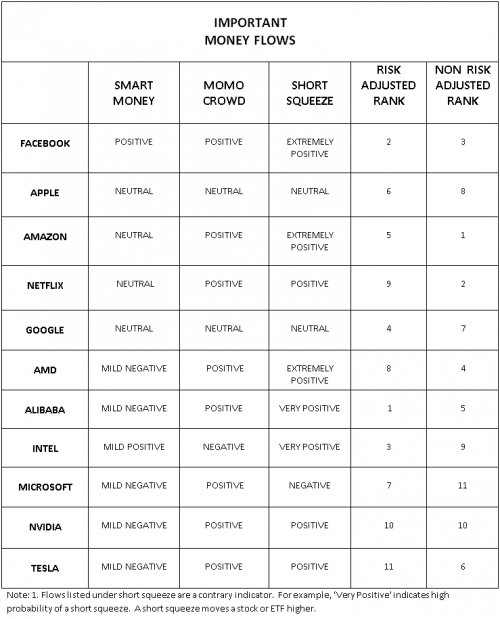 • Momo crowd money flows are positive in Microsoft MSFT. • There is quite a contrast between the momo crowd flows and smart money flows, as shown on the chart. The chart also shows the relative ranks of the 11 popular tech stocks….Read more at MarketWatch.